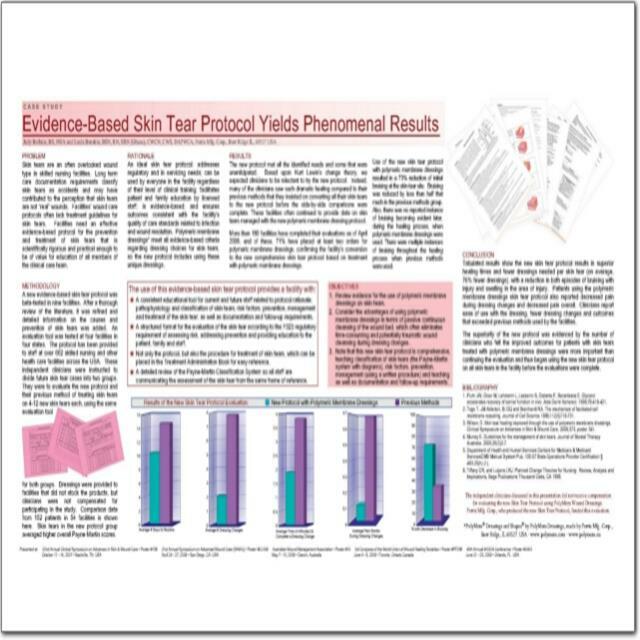 Over the last ten (10) years, more than 200 posters have been peer-reviewed and presented at major US and International conferences. 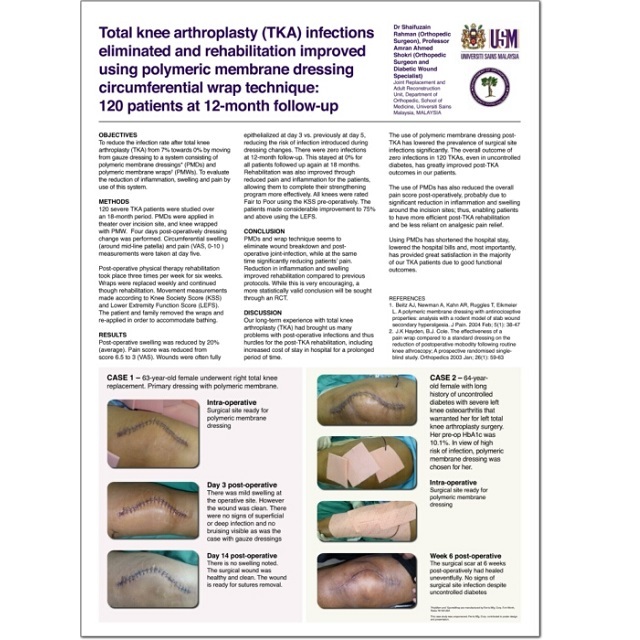 These 200 posters come from 264 independent (unsponsored) authors representing over 4,750 patients. Below you will find a small selection of these, click on an icon to view, or use the contact form to request additional information. 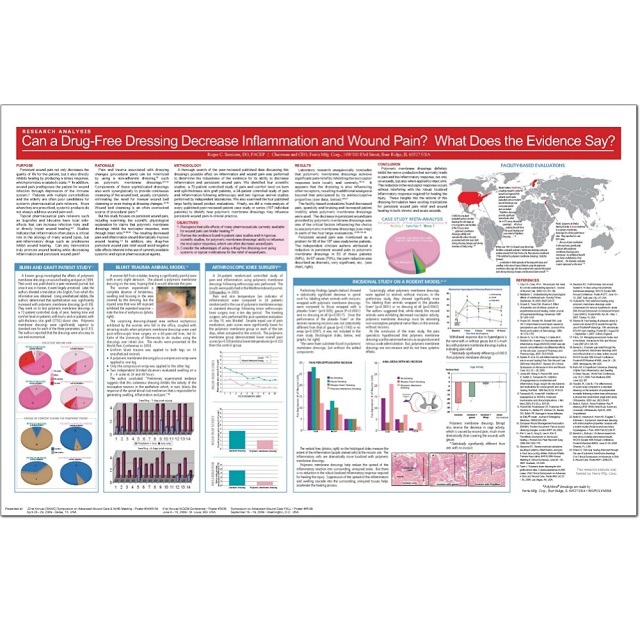 Can a Drug‐Free Dressing Decrease Inflammation and Wound Pain? What Does the Evidence Say? 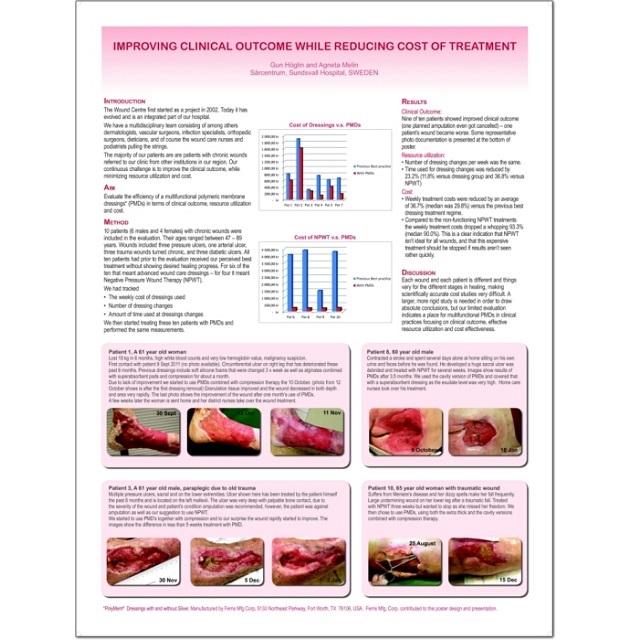 Improving Clinical Outcome While Reducing Cost of Treatment. 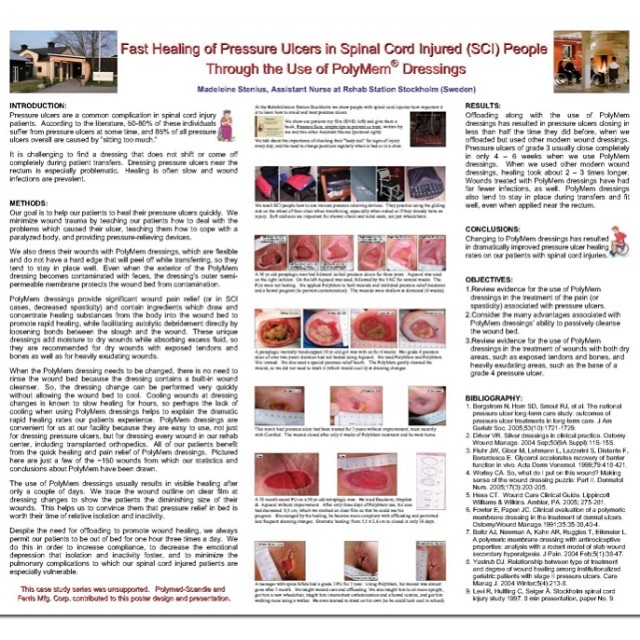 Fast Healing of Pressure Ulcers in Spinal Cord Injured (SCI) People Through the Use of PolyMem Dressings. 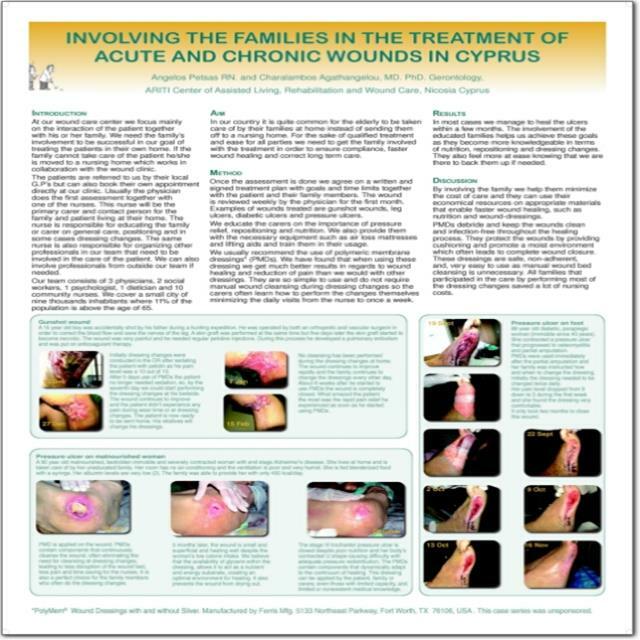 Excellent healing of pediatric wounds using polymeric membrane dressings. 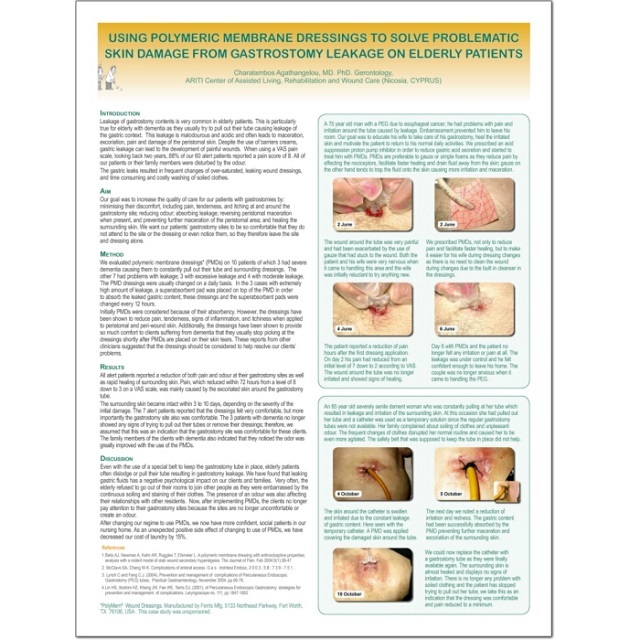 Using Polymeric Membrane Dressings to Solve Problematic Skin Damage From Gastronomy Leakage on Elderly Patients. 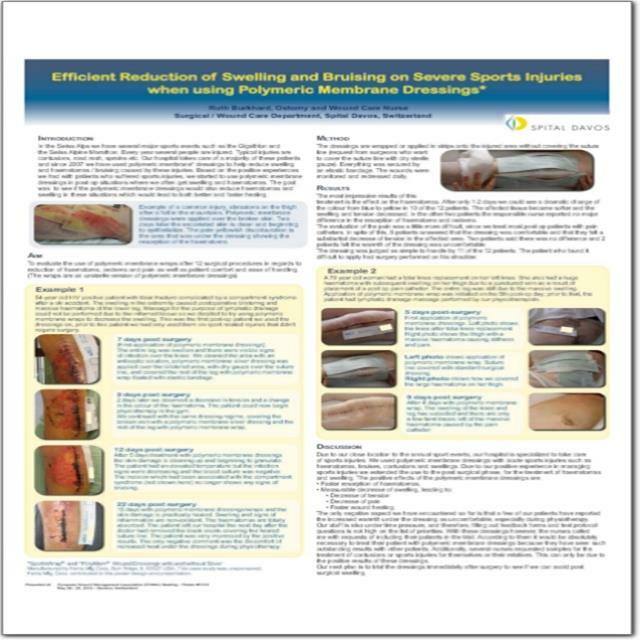 Positive Outcomes Managing Deep Tissue Pressure Injuries (DTPIs) with Polymeric Membrane Dressings. 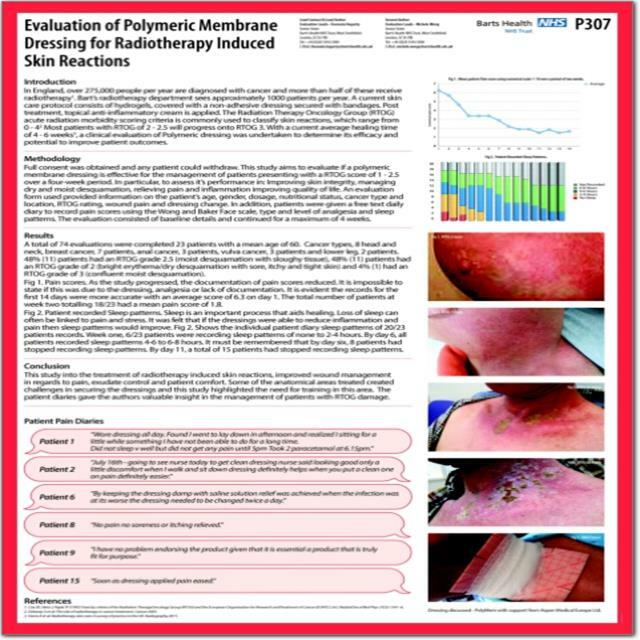 Six Years’ Experience Of PolyMem Dressings Used On Children With Epidermolysis Bullosa (EB). 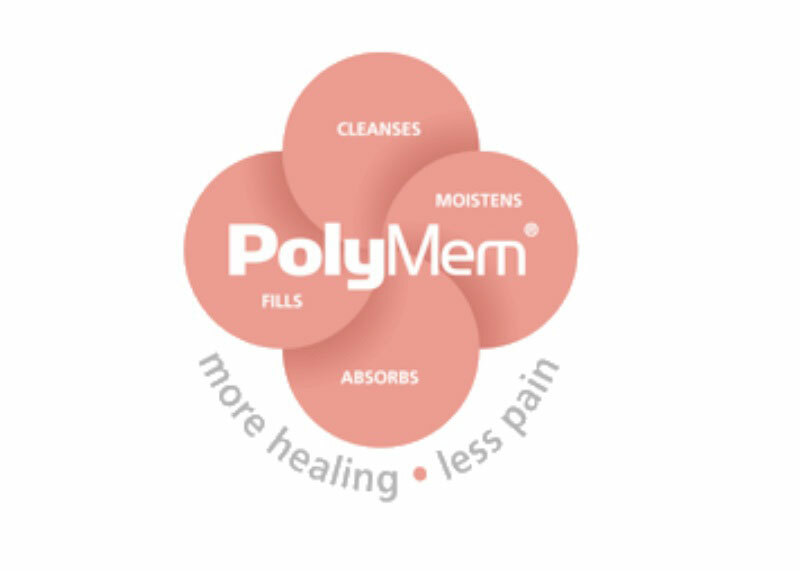 Three years experience of treating 46 painful diabetic foot ulcers with polymeric membrane dressings. 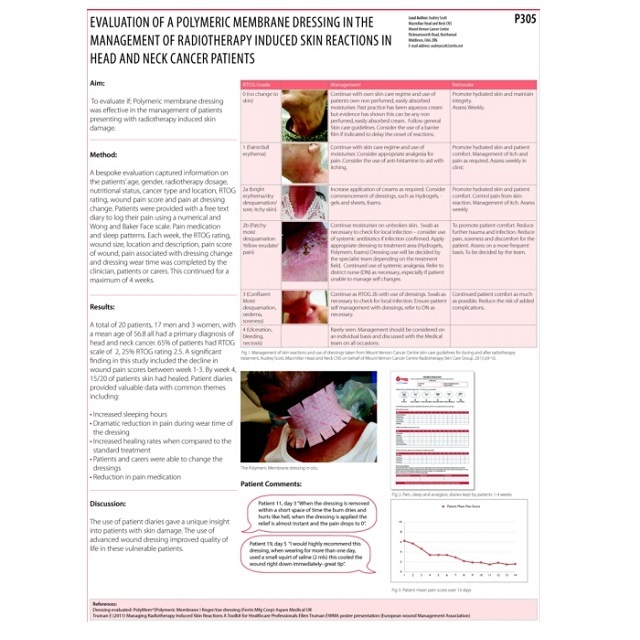 Polymeric membrane dressings in managment of radiotherapy induced skin reactions in head and neck cancer patients. 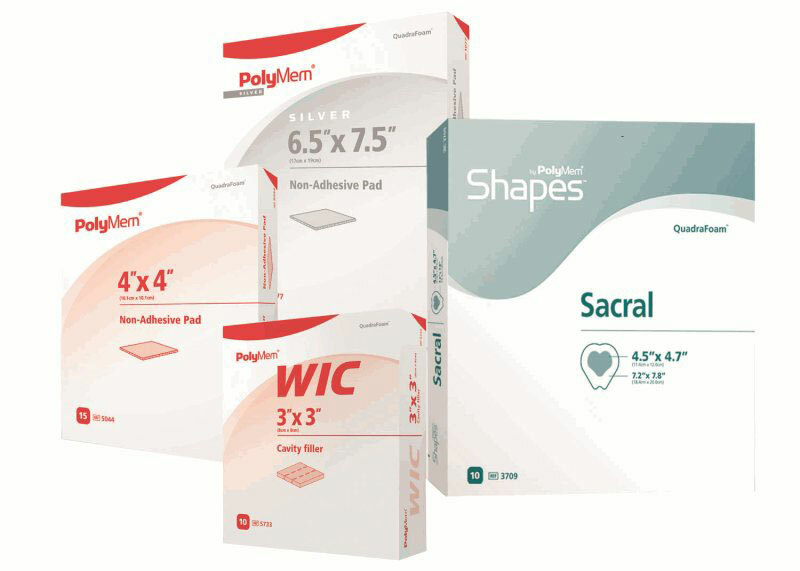 Polymeric Membrane Dressings for Skin Graft Donor Sites: 6 Years Experience on 1200 Cases. 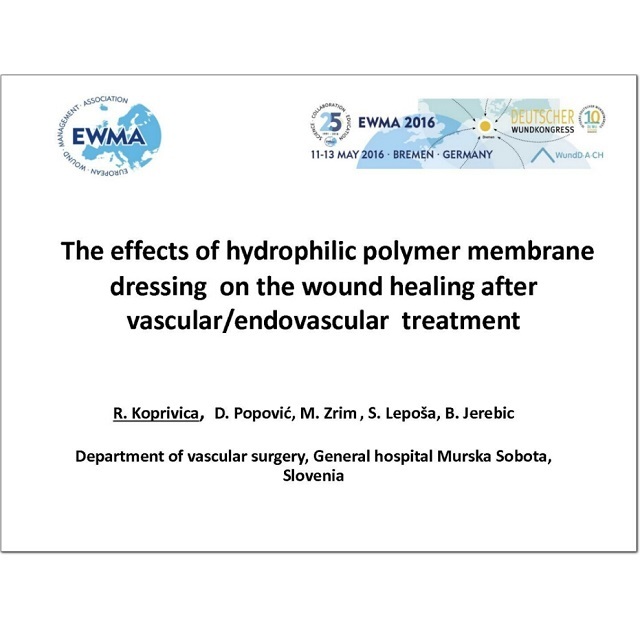 The effects of hydrophilic polymer membrane dressing on the wound healing after vascular/endovascular treatment. 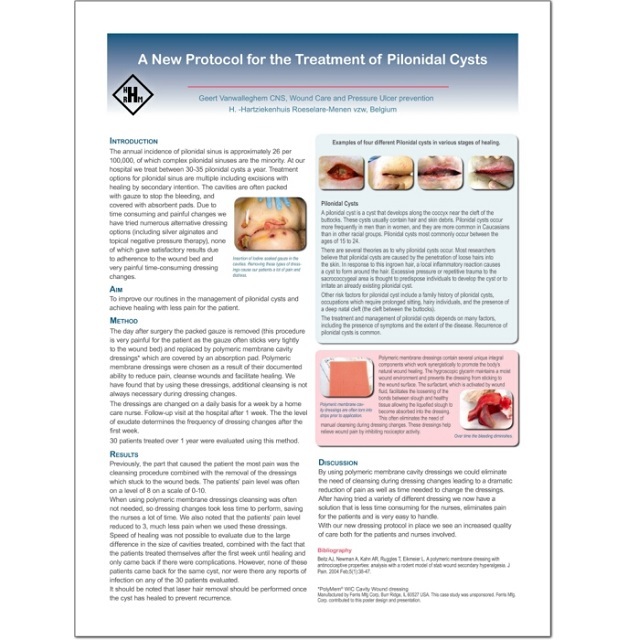 A New Protocol for the Treatment of Pilonidal Cysts. 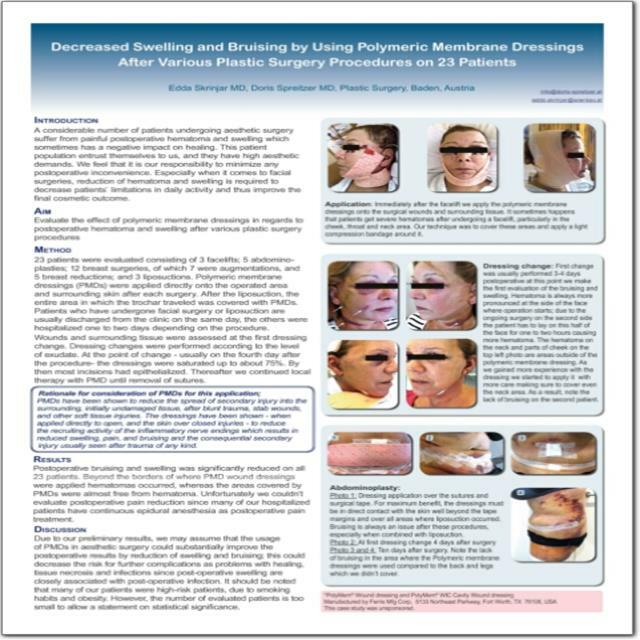 Standard versus polymeric membrane finger dressing and outcomes following pain diaries. 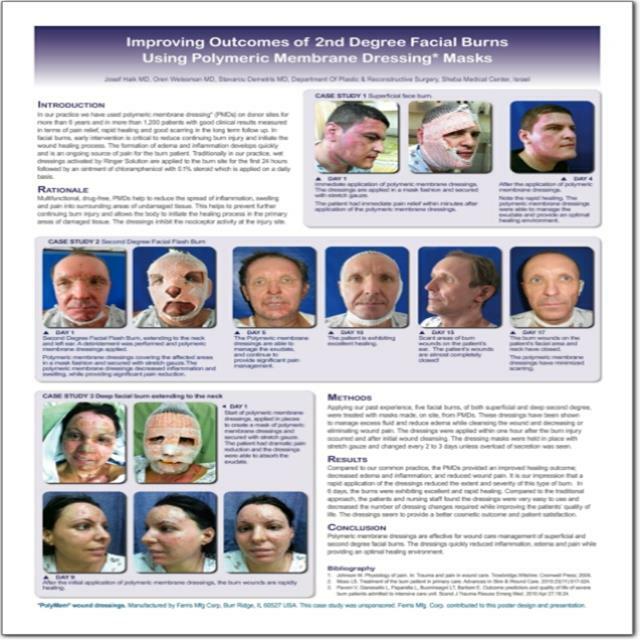 Intra-Operative Use Followed with Post-Op Application of Polymeric Membrane Dressings Reduces Post-Op Pain, Edema and Bruising After Full Face Lift Surgery. 5133 Northeast Parkway, Fort Worth, TX 76106-1822 U.S.A.